(3 times per year at £25.00 each time). Buggies (seating two) will cost an additional £20.00. Play is subject to availability.  The club/s in question may have a competition taking place on the day you may wish to play so please contact the Club in advance (please see the fixture card for contact numbers). The Members Loyalty Card entitles all members to a 10% discount from Bar, Golf Shop and Catering Purchases. Please note that to gain admission for membership as an ordinary or junior member you must apply to the Council on a nomination form prescribed by the Club and lodge this with the Club Secretary (application forms below). To qualify for Senior Membership status, you must have completed 15 continuous years of being an Ordinary playing member at the Club and also be 65 years of age as a minimum.